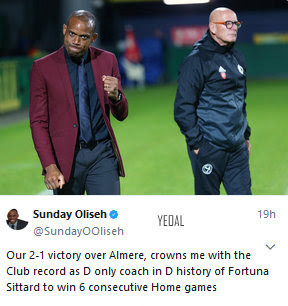 The former Super Eagles coach who is now the coach at Dutch Football club, Fortuna Sittard, made history when he led the club to win 6 consecutive home games. I guess he is already proving them right. Congrats to him.